Our old pals at the OCTA have sent out the following message. Click on the image if you need to enlarge it. 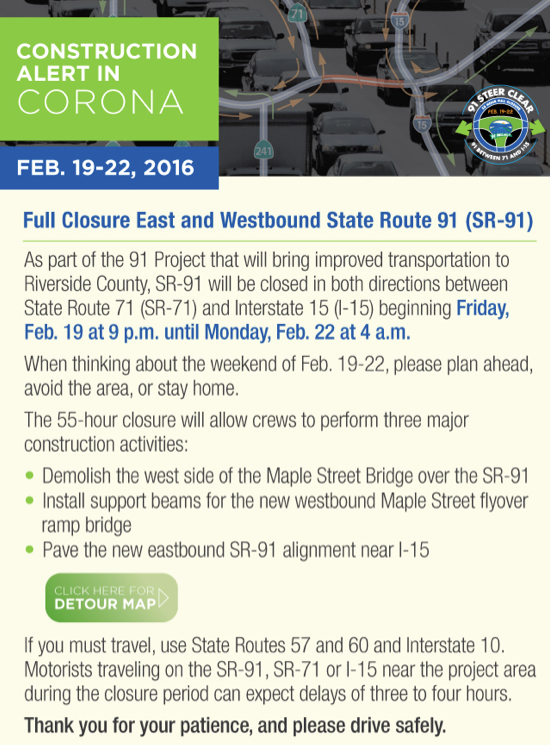 Seems like a weekend NOT to head to Vegas or the mountains via the SR 91..